Sometimes referred to as compulsive overeating, Binge Eating Disorder (BED) is the most common of all eating disorders. 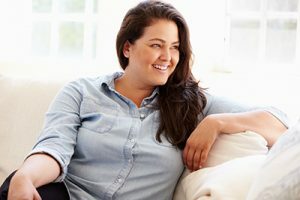 Approximately 30% of those who present for weight loss procedures or programs show signs of an active BED, yet fewer than one third of those patients will receive treatment for the underlying cause of their medical and mental health problems. Bright Road Recovery Outpatient Eating Disorder Treatment Center and Choices Counseling & Skills Center are teaming up to bring Diet Riot!, a highly specialized and intensive BED treatment group to address the needs of this population. Diet Riot! is a small, closed group of 8 adult participants. The group meets for 8 weeks, 1x per week for 4 hours each meeting. The group is both didactic and experiential, focusing on emotional regulation, interpersonal effectiveness and ending the war with body, food and dieting. As we prepare to offer this group, we welcome your input for best day and time combinations, as well as to gauge whether we should offer more than one group cohort per week. Thanks in advance for your help and insights!